Imagine this – you’re flicking through the pages of your favourite magazine and you stumble upon a review of a new up & coming restaurant. Your attention has been grabbed. You read on. The review is short and sweet and introduces a new comer to the Joburg restaurant scene . Firstly, welcome, where have you been? Secondly, DW11-13 is only my most favourite restaurant in the whole of the world, ever, so you can understand my complete and utter excitement upon reading about its baby sister tapas bar. It was really a no-brainer when deciding where to next…The Grazing Room (henceforth known as “TGR”). Team: 8 restauranteerers made up of 4 couples. The idea behind tapas is ordering a selection of a few dishes and sharing, so being “coupled up” was ideal. Décor: The décor at TGR is a continuation of the décor of DW albeit slighter darker and less “up-markety”. The long dark wooden tables, which seat approximately 30 people in the small dimly lit dining room, are contrasted by the bright open plan kitchens’ touches of steel and bright green wall. 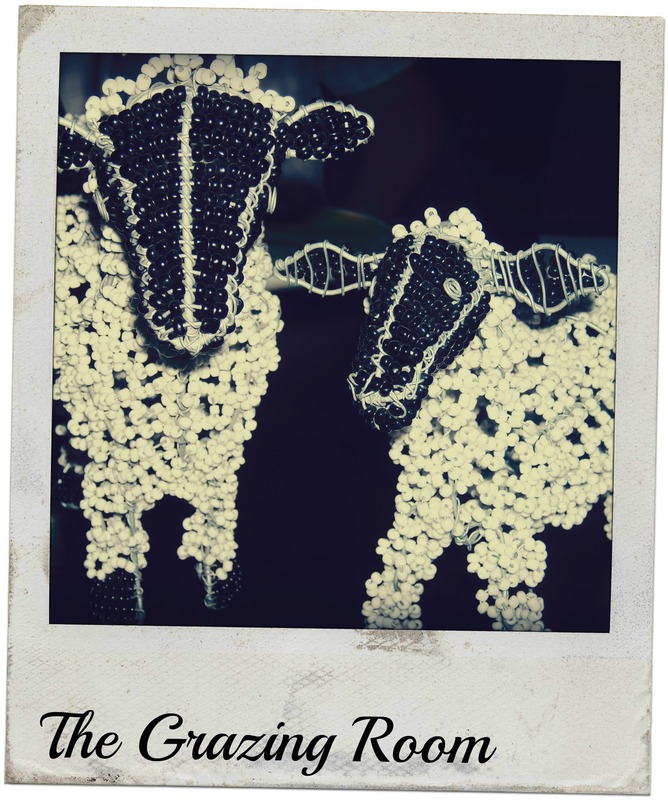 We can’t forget the beaded farm animals who kept us company – a humorous play on the name of the establishment. Vibe: Whilst TGR offers slightly more by way of atmosphere, possibly owing to the small space, like DW it’s really a place to visit purely for the food. The open-plan kitchen provides some entertainment but really, you will be adequately absorbed by deciding what to eat, when to eat it and discussing how it tastes once you eat it. Service: I know I should be treating TGR and DW as two separate restaurants, but considering they are occupying the same space and staff, it’s not really possible. The service at DW has always been impeccable and I was disappointed by the service at TGR. I’m not sure whether it was due to there being only one chef getting dishes out or because our waitress seemed occupied at DW, but food came out very slowly and in drips and drabs. I must concede that we were advised before we ordered that food would come out in batches but I didn’t really expect to be sitting with no food in front of me while others at our table received all of their choices. In addition, empty dishes piled up on our table and we had to ask for them to be cleared. This just isn’t acceptable, especially in light of the fact that both managers and wait staff looked in on our table on several occasions. Food: Being a tapas bar, the menu is made up of a variety of small dishes ranging from R20.00 to R70.00. Each couple ordered approximately 6 dishes between them, and we were adequately stuffed afterwards. 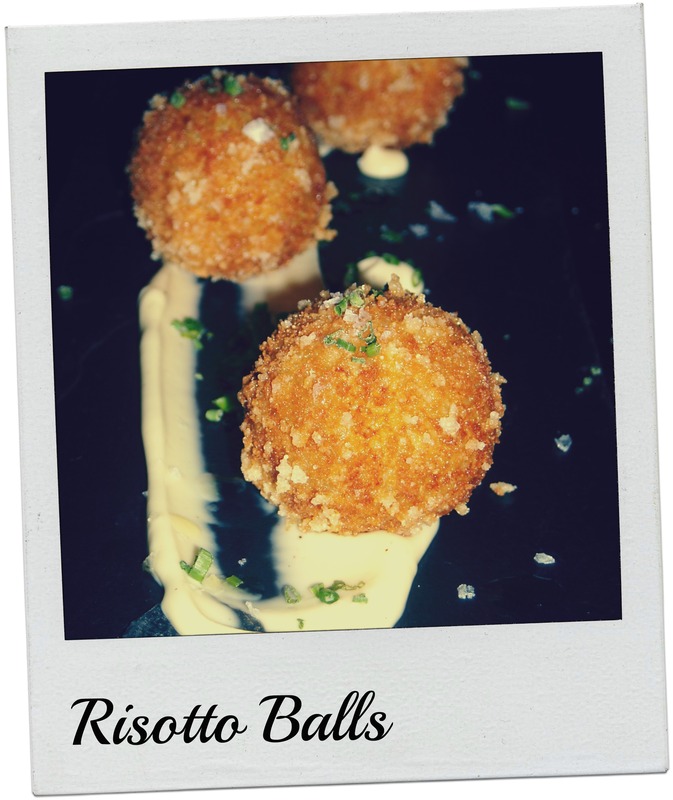 Zucchini Risotto balls – Golf ball sized zucchini (baby marrow) risotto balls deep-fried to perfection. Hot oozy inside, crisp crunchy (oil free) outside. Three per portion and served with a truffle mayonnaise. The mayonnaise itself will blow your mind. 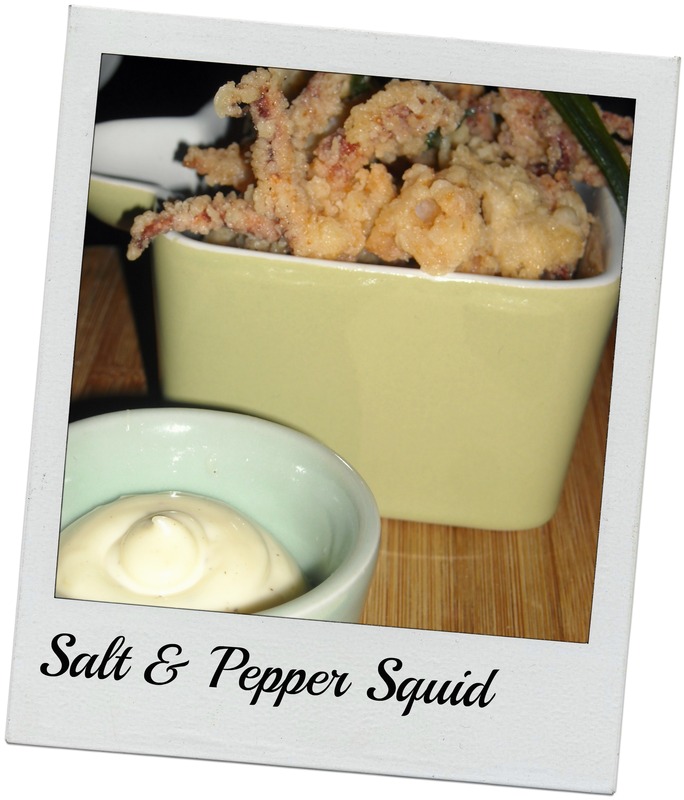 Salt & pepper squid – s&p squid is a firm favourite of mine and if it’s on a menu, I will probably order it. TGR’s squid did not disappoint. The mountain of crispy well battered (not too much, not too little) well-seasoned squid was served with a rich aioli. Although it was plenty for two people to share, next time I will probably have one portion all to myself. Italian springrolls – we (as in the boyf and I) did not order this item but I did steal a taste and I was instantly jealous and regretful all at once. Jealous because the springrolls were insanely good and regretful because I didn’t order them. 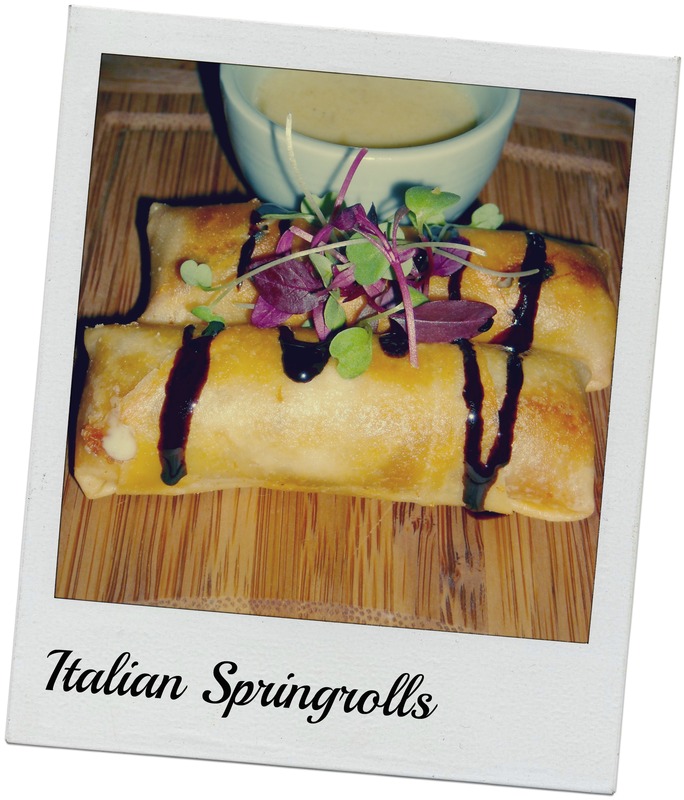 The springroll was filled with salty parma ham, smoked mozzarella and peppery rocket, drizzled with balsamic reduction and served with a white wine sauce. In my opinion, the white wine sauce made the dish – I would probably order that as a soup, it was that good. Polenta chips – if you’re unfamiliar with polenta, it’s kind of like meilie pap (maize porridge) which usually has a mash-like consistency. 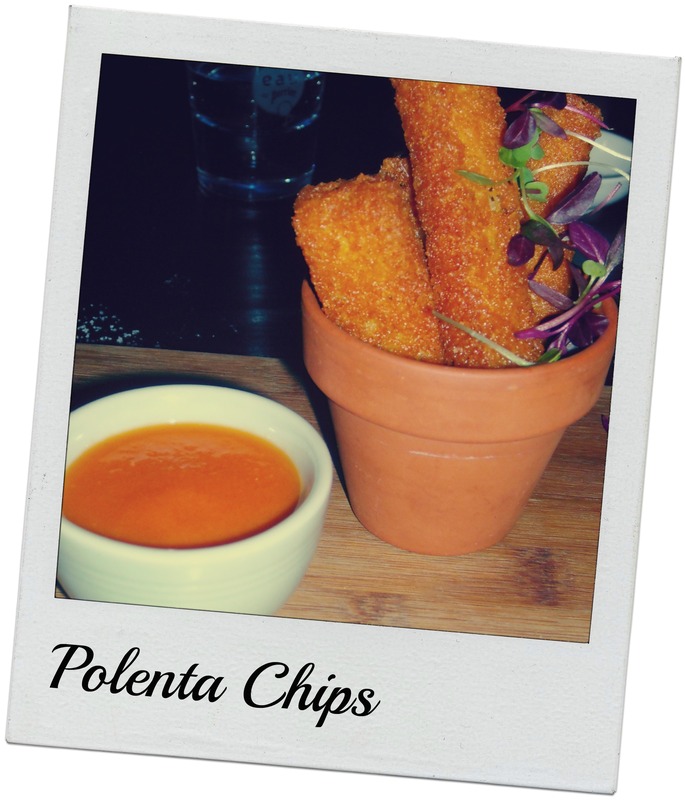 Polenta chips are obviously different. The mash-like polenta is firmed in the fridge, cut into chips and deep-fried. So you end up with a crunchy outside and a soft inside. Yum! TGR’s polenta chips were served with a cold spicy tomato sauce. I felt that the sauce should have been hot (or at least warm) and the polenta chips more seasoned. Although there was nothing seriously wrong with this dish, it was not my best overall. 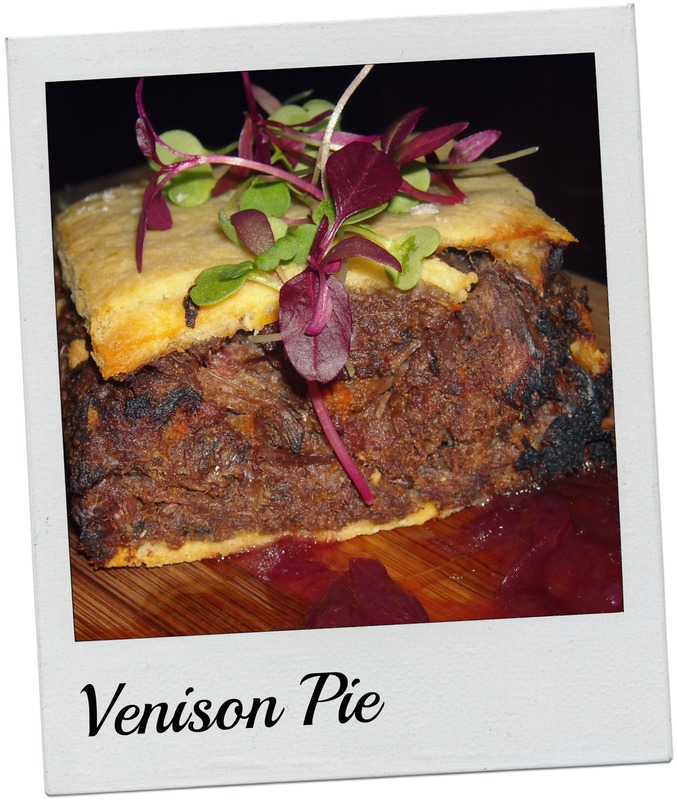 Venison Pie – braised venison, in this case wildebeest, served with homemade pastry and plum onion chutney. I’ve had venison quite a few times and although I enjoyed the idea behind the dish, I wasn’t blown away. I found the venison too dry and the pastry a bit too sweet and too thin. The chutney was delicious but I felt I needed a bit more to cut through the venison. Everyone else who ordered this dish thoroughly enjoyed it (especially the boyf who explains that the venison itself wasn’t dry, it just has a dry taste – which makes sense I guess). 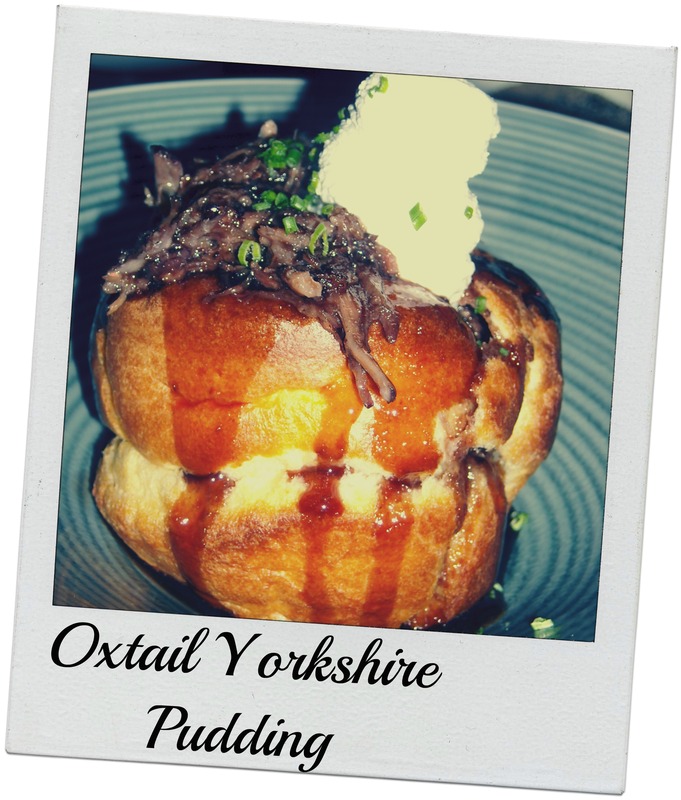 Oxtail Yorkshire Pudding – my favourite dish. A huge puffy Yorkshire pudding served with deboned oxtail and a horseradish cream. I’m sure everyone is familiar with Yorkshire pudding but if you aren’t it’s simply a batter muffin/cake of sorts baked in the oven and usually served with a Sunday roast and gravy. It is in no way a dessert dish so don’t imagine a sponge cake with meat on top. The oxtail itself was cooked to perfection and melted in your mouth. The horseradish cream was the perfect companion to the rich meat and dense pudding. Amazing. 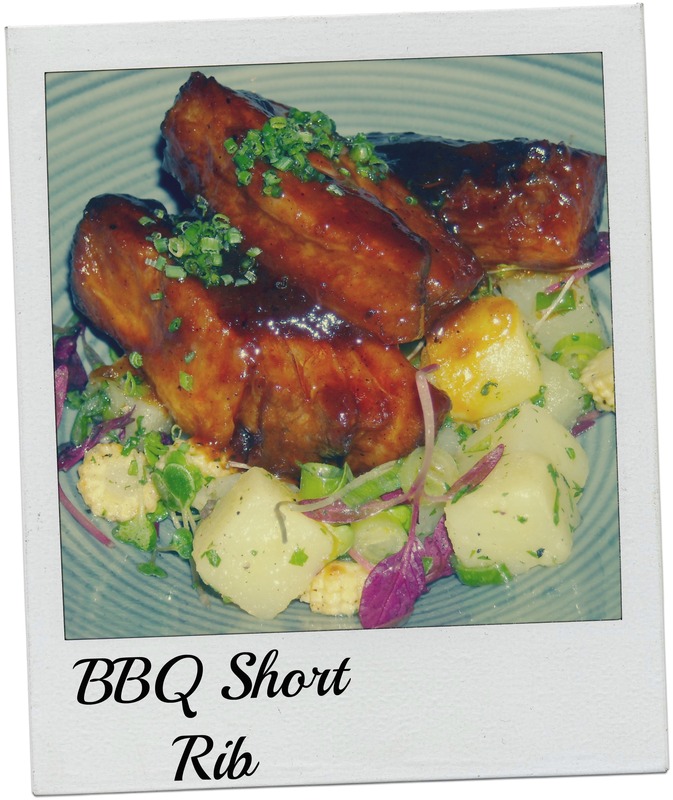 BBQ Short Rib – deboned short ribs drenched in home-made sweet sticky bbq sauce served with baby meilies (corn) and potatoes. I loved this dish too and had we not ordered two other meat courses, I probably would have devoured the entire dish plus more. It was really finger-licking good. I didn’t think the veggies were necessary, but then again, I never really do. Others thought this dish was too sweet but I disagreed. Go with me on this one. 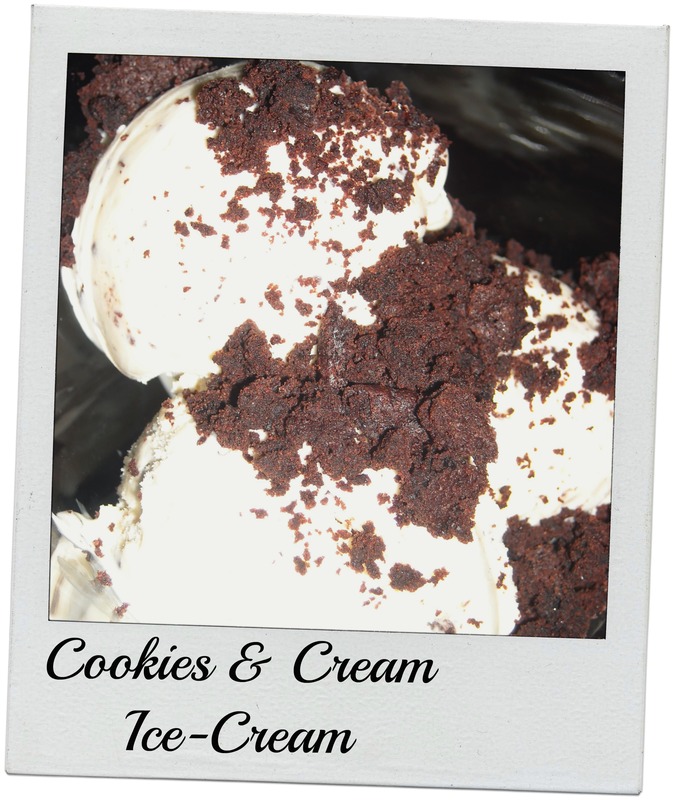 Cookies & Cream Ice Cream – creamy vanilla bean ice cream served with home-made chocolate cookie crumbs. Didn’t blow my hair back but I wouldn’t say no to a bowl full. Chocolate Marquise – this chocolate work of art consisted of several elements: Valrhona chocolate sponge layer thing, rose-water ice cream, candy floss, chocolate soil and caramel (or at least I think it was caramel) blobs. The chocolate soil is a DW classic and I’m pleased to see it has carried over to TGR. 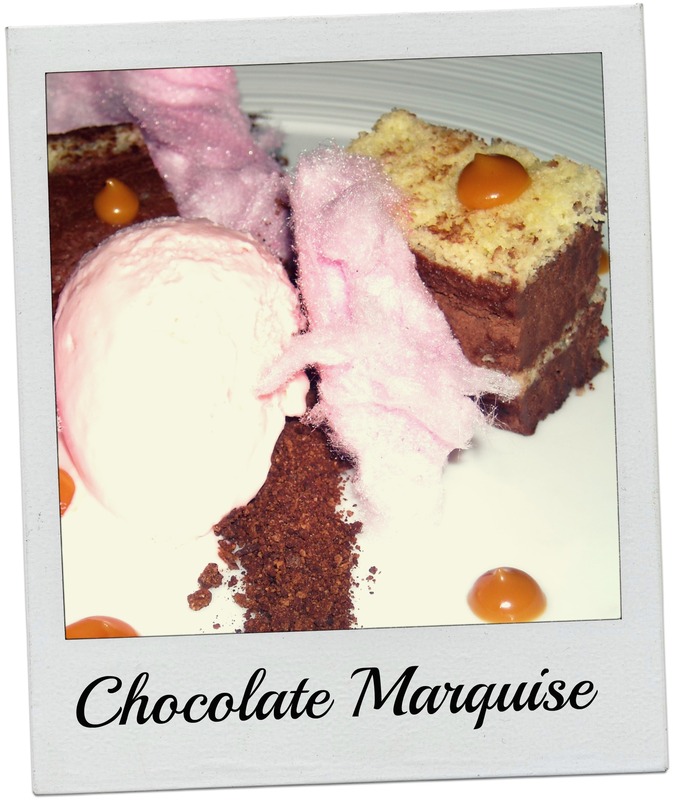 The bright pink candy floss invoked childhood memories and was a great accompaniment to the rich chocolate and caramel. I personally found the rose-water ice cream cloyingly sweet and slightly too much but overall the dish was fantastic and had I not stuffed myself with meat dishes, I would have ordered it myself. Thanks to TGR I now have a great appreciation and growing passion for “little” dishes. As a main meal junkie, I can say with certainty that if all tapas tasted as good as that on offer at TGR, I will happily forego my main meal. Congratulations to Chef Martinus and the DW team on the arrival, and subsequent success, of their new brainchild, The Grazing Room.